In the mid 60’s, the horsepower wars between the Big Three auto manufacturers was getting heavy, and all 3 realized that large displacement V-8 engines in mid-sized cars were driving the younger buyers to the showrooms. With the success of the Chevrolet 409, GM was planning to unveil the 427 for the 1966 model year. Ford had already released their 427 in 1965 to do battle with the already very popular Chrysler 426. Chrysler responded by raising the bar another notch to fight the competition, and developed the 440 V8 engine for 1966. Take a guess at the identity of this famous V-8 – #7 on our list of the Big 8 V-8 engines. A true workhorse block design for Pontiac, this block dates all the way back to 1955 – the same year as the first small block Chevy. The Pontiac block maintained the same external dimensions through its entire life, with the exception of the deck height. The 1955 Pontiac V8 was an overhead valve engine with wedge combustion chambers. It used cast iron cylinder heads and a cast-iron block. An innovative design feature was mounting the rocker arms on ball pivots on studs set into the cylinder-head, rather than using a separate rocker shaft; this allowed more consistent valve action with less weight than a conventional shaft. It was also cheaper to build than a rocker shaft; this Pontiac-patented technology was immediately handed to the Chevrolet division for their first postwar V-8, which appeared the same year. For 1970 through 1976, the bore was expanded .030″ to 4.15 inches combined with a 4.21 inches stroke, yielding 455.34 CID. 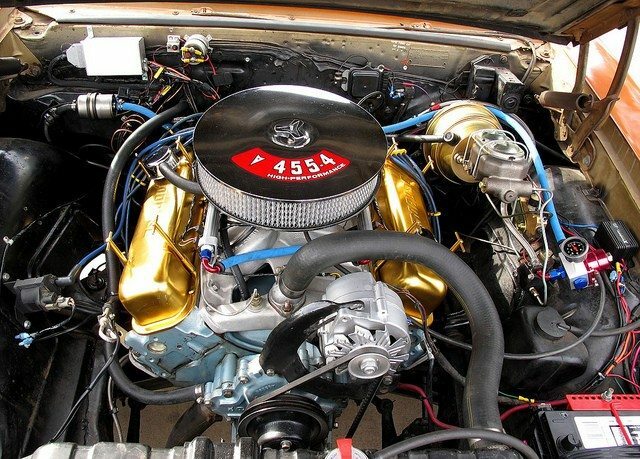 Oldsmobile and Buick also had ‘455’ inch engines about the same time. 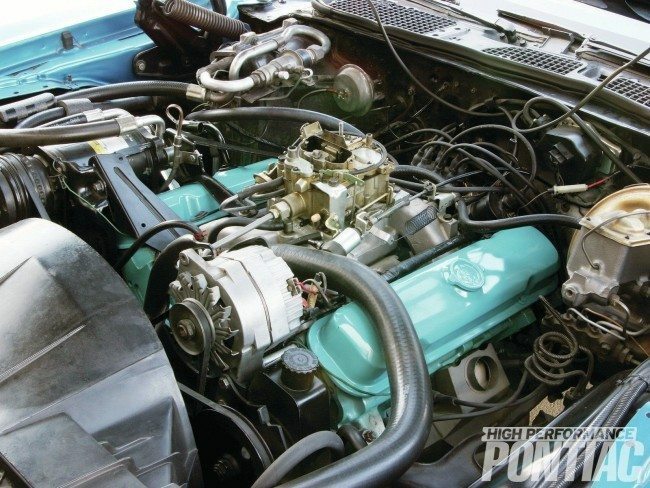 For the 1970 model year variants of the engine became available on all of the full-size Pontiacs, the Grand Prix, and for the first time, as the 455 HO in the Pontiac GTO, as GM lifted its restrictions on the use of engines larger than 400 cubic inches in mid-sized cars. The main factor used to differentiate the smaller displacement engines from the larger ones was the crankshaft journal size. 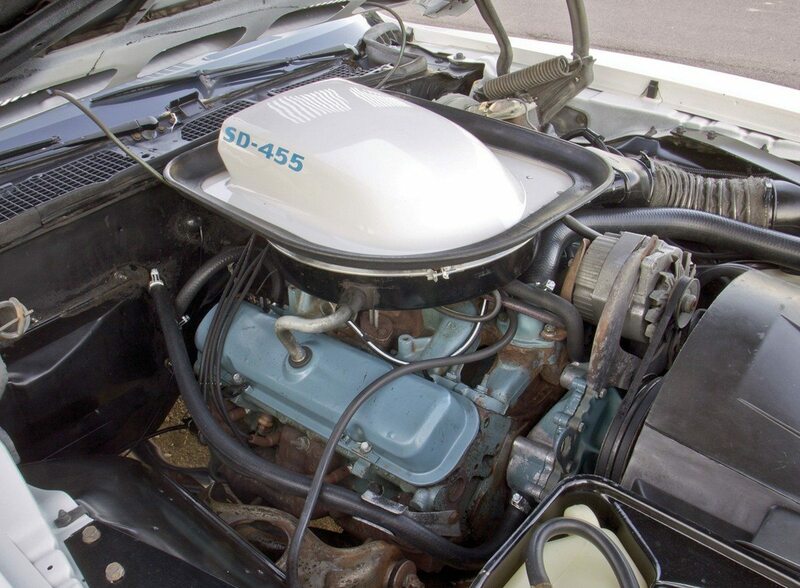 The Pontiac 455 engine that made it’s debut in 1970 featured the larger 3.25″ journals. With a longer stroke than bore width, the engine was designed for exceptional low-end torque more than top end horsepower. The 1970 H.O. version of the 455 produced 370 HP but with a diesel-like 500 ft-lbs. of torque. Built until1976, but by then, emissions hardware and unleaded fuel requirements had sucked the power down of the once-mighty 455 to a net of only 200 HP. Does your current carrier not accept your high horsepower collector? Let us show you how we are more than just another collector vehicle insurance company. We want to protect your passion! Click below for an online quote, or give us a call at 800.678.5173.